Explore the Campus and Beyond! 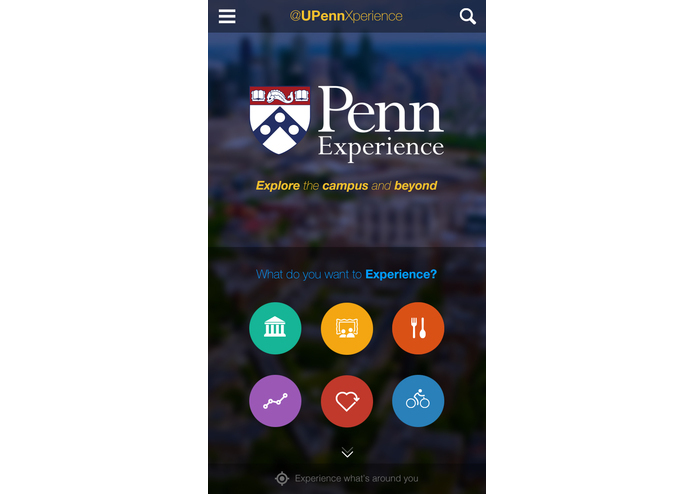 The @UPenn Xperience is a new mobile app demo system for the PACT Wayfinding App Challenge created to help students and visitors to Penn’s campus navigate and discover the art filled campus and surrounding city. 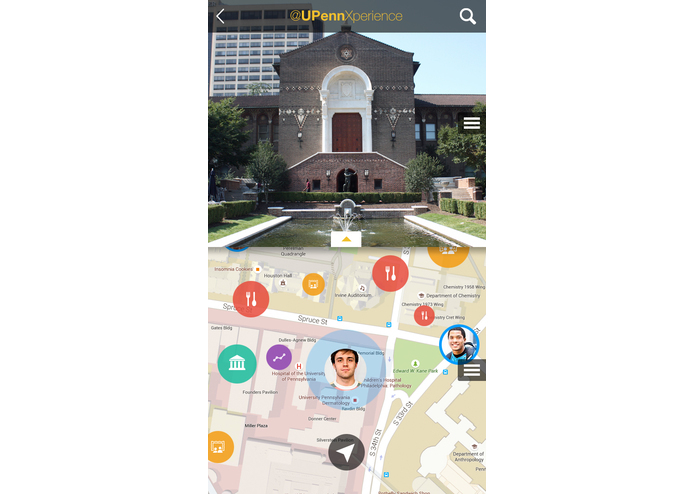 The @UPennEXP iPhone version of the app makes exploring Philadelphia effortless and easy. It works both indoors and outdoors so you can find your favorite things fast, and spend more time creating great memories. The ‘Search Nearby’ feature allows you to quickly locate your favorite places, and find your friends along the way! It also shows you the “Hot Spots” that are ‘Trending Nearby’ based on your personalized Social Media preferences. 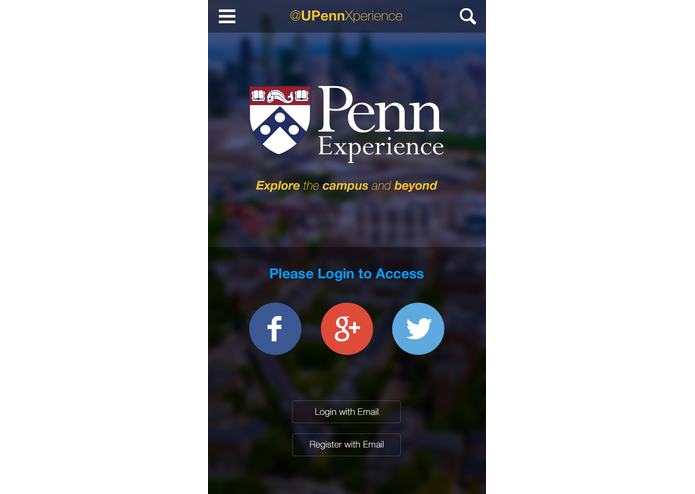 The @UPennEXP is amplified with an augmented-reality “Dual View” screen to enhance discovery, exploration, and visual navigation of the campus and the city. The app makes extensive use of geo-location technologies, geo-fencing solutions, and micro-location techniques based on wireless beacons to provide turn-by-turn navigation and step-by-step information about indoor and outdoor attractions along the user’s selected route. There is ‘Explore Mode’ and ‘Guided Tour Mode’, so that community leaders can easily create and update tour routes for their specific groups and audiences. 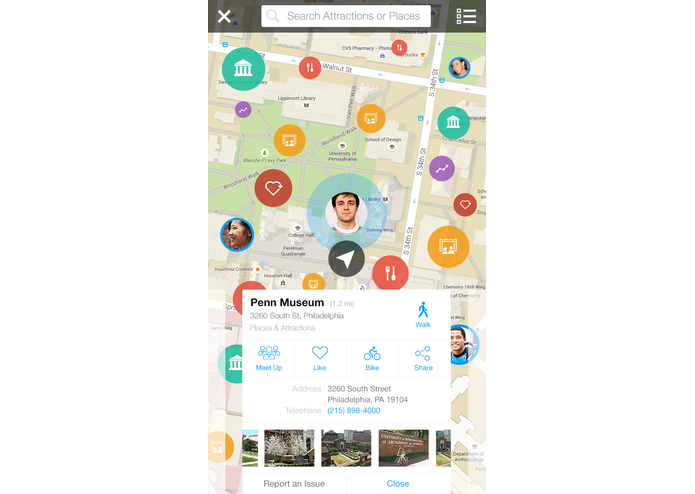 The demo app helps people discover the campus and all of the great attractions the city of Philadelphia has to offer with detailed information populated by Philadelphia’s Open APIs and geo-tagged photos about the featured art and points-of-interest all around the region. One example Open API is the Indego Bike Rack API, for finding bike rack ports with available rental bikes. The Lokita app framework is designed for Open API integration including popular social media networks like Facebook and Twitter, so 'Search Nearby' also shows the places your friends have favorited, and the hot spots that are trending based on where your friends are, or have recently been. 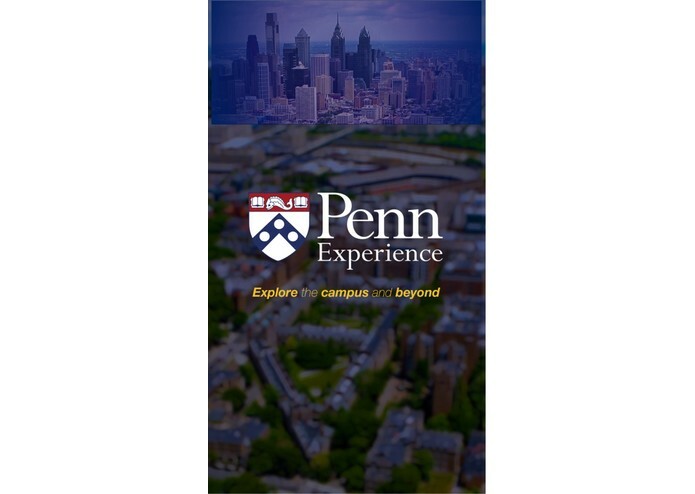 The @UPenn Xperience demo app is RTP Holdings’ first public demonstration of its Lokita Solution , which is powered by SemperCon, and beautified by Organic Grid. Go Go! Team Lokita!